I've spoken about my eczema problems and my problematic skin quite a lot here on Kimberley Jessica and it's always going to be an area which I speak about on my blog because of course, I am human and I will always have bad and good days with my skin and I like to document that to try and help others. So recently I've had rather irritated and annoying skin which has been driving me up the wall. Now, I don't mean that it's been spotty, because it hasn't; my skin has actually been very clear for the past two months. But over these past two months I have gained the beloved eczema in my right eyebrow, on my eye lids, underneath my eyes and on the right side of my chin; absolutely brilliant. This is of course a place where I have never ever wanted my eczema to develop to and now it has; perfect. I went through stages of trying so many different moisturisers. I stopped using my normal moisturiser because I wondered if it was that which was causing it as I've recently switched; however switching back didn't make a difference. I then tried a completely natural based day cream to see if the natural ingredients would help my skin and this still didn't work. 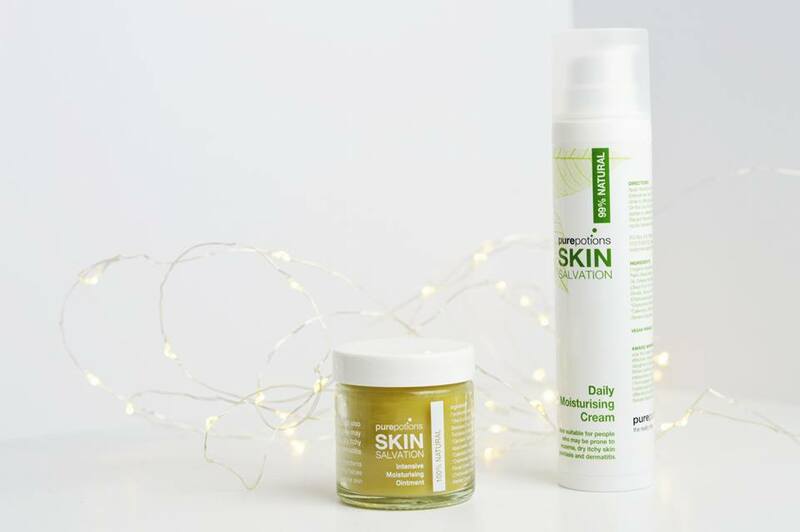 However, I remembered that Pure Potions kindly sent me a bunch of products from their range and I thought I would go back to these and see if they would help considering they are a brand which was designed, tested and created for people with difficult, sensitive and eczema prone skin; for people like myself. Instead of using my standard Superdrug, No 7 or Loreal day cream, I switched over to my Pure Potions daily moisturiser and I also used their ointment to during the evenings whilst I'm asleep to give it that extra bit of moisture. Although this didn't completely get rid of my eczema and the redness around my eyes and on my chin; it made a huge difference to how itchy and irritated my skin was. Instead of going to work and coming home from work with red raw eyes from where I was rubbing them; I came home with no irritation what so ever because I wasn't rubbing them; it made such a difference. I ended up going to my local GP and was prescribed a steroid cream for these areas which has developed eczema because apparently there was no way it would completely disappear without using the steroid cream. Even now, if I go a day without using the steroid cream, my skin is flaky and red again which is pretty annoying. But Pure Potions saved my skin from a lot of scratching, redness and a lot of irritation too. It got to the point where my eyes would be so sore and stinging, nothing would help it and eye masks made it 10 times worse. 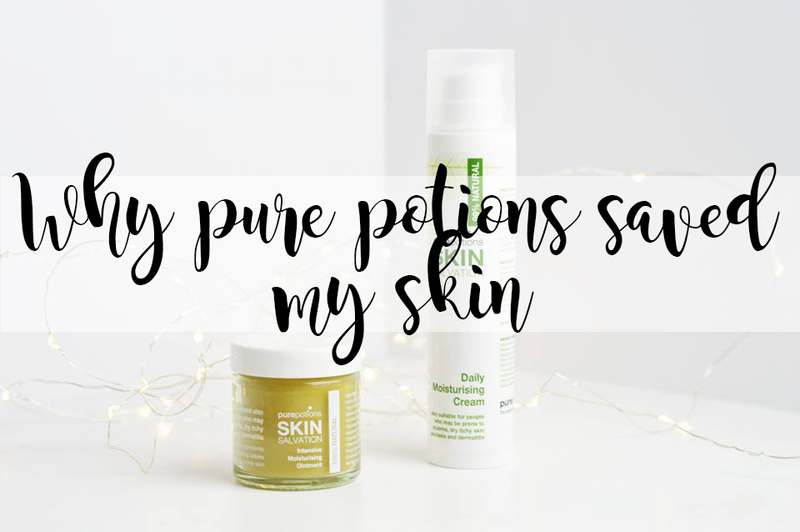 If you suffer with irritated, dry or even sensitive skin I recommend trying Pure Potions out for them days where you need some extra care and attention to your skin. Although it isn't your thin, beautifully scented day cream; it's unscented, thick and keeps the moisture in which is what you need. Have you tried out Pure Potions before?